Every black woman has shared their “weave” story with their hairstylist. And each comes with unique weave experience. Some decided to go for hair weave as an efficient means of growing healthy natural hair to the length they’ve been dreaming of, while other girls swear that weaves or extensions is the primary culprit of their short and damaged hair. But who’s right between the two? Both of them are right. But the result depends on the scalp and hair’s conditioning. While a lot of black women have effectively grown their own healthy hair up to 6 and 10 inches in a year, other girls went on terrible experiences and ended up sporting supposed bald caps. For this matter, finding out if your hair can manage to grow healthy long strands while under weave, is a must. Also, there are other factors you should bear in mind when deciding to install weaves or extensions. Hair weaves, if not installed and maintained properly, can definitely lead you to awful consequences, like excessive hair loss and unwanted smell. Some women experience brittleness, hair damaged, dryness, and thinning on their hair. However, this sort of problems will only arise if you let inexpert stylist do the job. Here in Heaven on Earth Beauty Salon, we guarantee you that hair weave, when correctly installed and maintained, can potentially keep your naturals from constant pulling, combing, and excessive heat, thus will grow your hair healthier and frizz-free. Aside from protecting your natural hair from damage, what are other reasons why you should consider installing weaves? Installing hair weaves will gain you an opportunity to try different hair styles while your hair recovers and grows long and healthy. However, it’s not only meant for growing your hair. You can install weave to retain your length too. But no matter what your purpose is; what you do during and after your weave will determine the results. Prior to installing hair weave, you must know the dos and don’ts for it. Let these tips encourage you to go on and pursue the beautiful weave and enjoy all the benefits of growing healthier, longer hair. Set an appointment with an expert stylist with a good reputation – preferably a stylist with keen understanding when it comes to black women’s natural hair. When looking for a newbie stylist, just make sure that he or she is knowledgeable about weaves, knows how to install them properly, and the one that can understand just how important it is that your hair stays healthy under the install. Don’t let your choice of stylist come down to the cheapest price as you could more likely regret it. Unless, if someone refer you to a cheaper priced stylist who’s building a good reputation. Just remember, word of mouth is always the best referral, if not, do your research online and make sure you exchange words with the stylist personally before you make your final decision. If you’re having any doubts whatsoever about their experience, or lack of, then trust your instincts and go somewhere else. For black women near and within Albany, you’re free to talk to one of Heaven on Earth Beauty Salon stylists, for free hair analysis and advises for hair weave or extension. Cornrows and braids for the install shouldn’t be too tight and tense. Go with a stylist that ensures your braid weave is very secure. But remember, there should be no pain at all once it’s in place. Sorry to say, with individual extensions, some stylist braids natural hair too tightly, starting at the scalp – this is a sure-fire way to experience hair loss. It’s important to know that the area where your weave meets the scalp must be secured, but it certainly shouldn’t be pulled tight. With tight braids, hair follicles have greater tendency to get damaged, and you could end up with traction alopecia. The latter is hair loss associated with constantly pulling the hair too tight and ripping the hair out from the roots. When this happens, better to remove the weave, detangle the braids and apply aids and vitamins for hair growth. Is glue safe to use for keeping the weave tracks close to the scalp? While glue keeps the weave tracks close to scalp and give you a stunner hair, using it can be a culprit to hair loss. It has a tendency to stick to your scalp and hair and this could lead to damage or rip out your own hair as well as the hair weave. Not to mention, some glues contain chemicals that can damage hair and scalp. Us here, in Heaven on Earth, we suggest to only use glued-in weaves on a very short-term basis, such as a wedding or other special occasion. It shouldn’t be used for full weave installation. 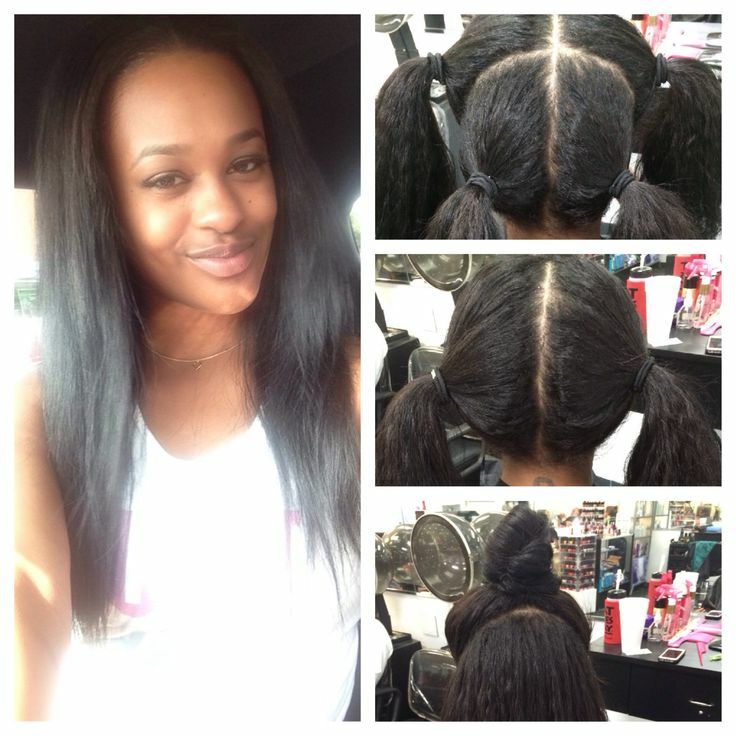 In addition, glue-in weaves should be installed and removed by a qualified and expert hairstylist. Hair weaves keep your natural hair protected and covered but don’t forget to take very good care of it. While it can be very tempting to just ignore your hair because it’s beyond your sight, without moisturizing and cleansing it will leave your hair quite brittle, and break off completely. When you visit Heaven on Earth Beauty Salon at 330 Central Avenue Albany, New York, and have a weave installed, they would definitely deep condition your hair so that it starts off at its healthiest and strongest state prior to braiding. In keeping your hair moisturized regularly, we recommend moisturizing conditioners and natural emollients. And at night time, you have to protect your hair with a bonnet or silk scarf. Hair weave installation should last no longer than three month, so if your hair isn’t on its peak condition, better not to continue. But this estimated period of time should be even less if you have quick-growing hair, or if you have very thick hair. Leaving your weave install too long might cause matted, tangled, and broken hair strands. Pick the best quality material used in hair weave. Choosing cheaper and less reputable hair extensions can sometimes irritate sensitive skin and scalp. More often, the filler used in cheap weaves can cause allergic reactions, so try to purchase the best quality hair you can. 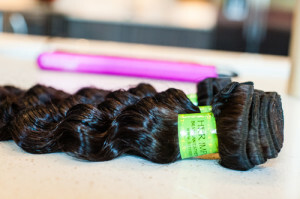 Lastly, Heaven on Earth beauty Salon hope the above tips will give each black woman who are considering hair weave installation, the confidence to go ahead and choose the right and expert stylist. If you happen to be in Albany, simply visit us at 330 Central Avenue and have your hair weave installed, and enjoy your beautiful, healthy, and long hair with us. Set an appointment by calling (518) 432-4302. Meanwhile, feel free to like our page on Facebook.